On 6 June 2017 the Dutch Eurovision star, Sandra Reemer, has died from breast cancer. She is not a new face to Eurovision. Sandra represented the Netherlands in the Eurovision Song Contest on several occasions. In 1972, she sang "Als Het Om De Liefde Gaat" with Dries Holten. The duet received a good result (4th place) on the final night in Edinburgh. After 4 years she tried her luck again at Eurovision 1976 in her home country with her song "The Party's Over Now", which made it to ninth place out eighteen entries. In 1979, Sandra represented the Netherlands with the group called "Xandra" in Jerusalem with the song "Colorado". The group came 12th on the final night. After 4 years she returned back to Eurovision but this time as a backing vocalist who accompanied the Dutch artist, Bernadette who came 7th with the song "Sing Me a Song". In 2014, she hosted the Eurovision in Concert in Amsterdam together with Cornald Maas. The Eurovisionworld team expresses our sincere condolences to her family, friends and fans. 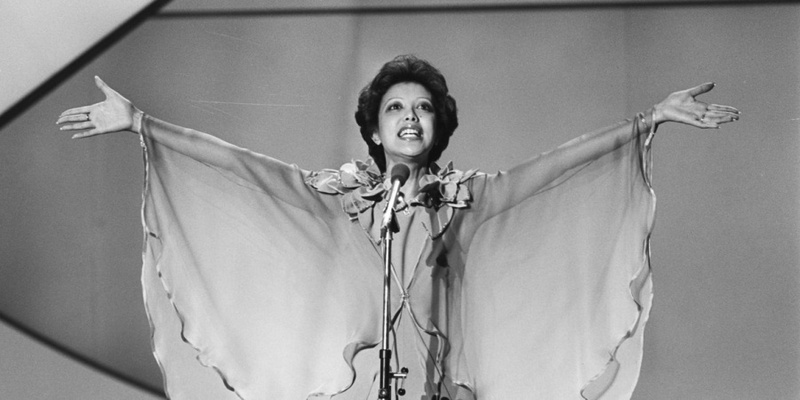 Sandra Reemer was a true Eurovision star and she will be remembered for her music. Netherlands 1972: Sandra and Andres - "Als Het Om De Liefde Gaat"
Netherlands 1976: Sandra Reemer - "The Party's Over Now"
Netherlands 1979: Xandra - "Colorado"